Focusrite’s plug-in collective is a rolling bi-monthly rotation of fantastic plug-in deals for all registered Focusrite product owners. This month’s offer is in association with Mastering the Mix, giving FREE access to GROW (worth £17) and a FREE 6-month license to LEVELS (worth £49). You have until the 7th March to take advantage! 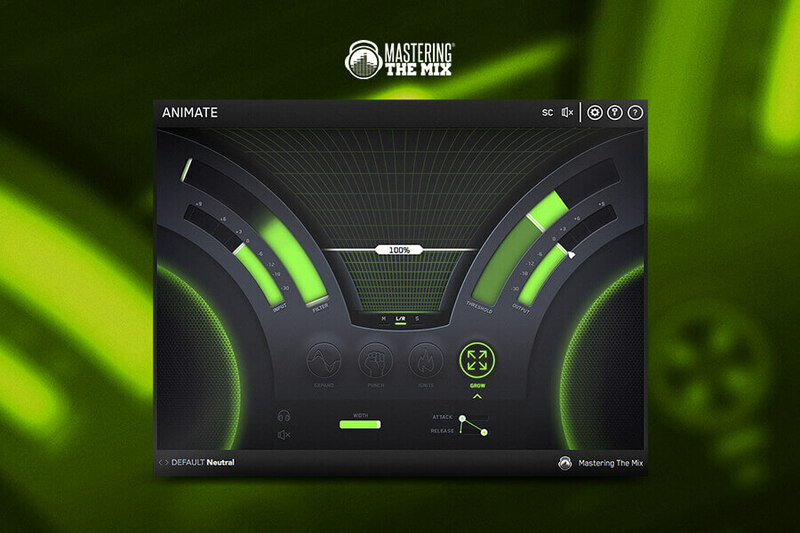 This is a great dynamic module that sits within the ANIMATE plugin, and will give your mixes increased width. Thanks to the psycho acoustic precedence effect, GROW spreads selected frequencies super-wide. Provided that audio passes a threshold, it is widened in a dynamic way. This in turn gives your mixes a lively and breathing characteristic, almost as if they are jumping out your speakers! Invaluable for trouble-shooting elements of your mix, this powerful metering plug-in monitors your mix. Including a intuitive interface, presets for CD, Club, Streaming and much more, you can sort out technical problems quickly and easily. LEVELS helps you quickly diagnose problems and gives practical advice on how to fix them. All in all, you spend less time wondering why your mix isn’t working, and more time being creative! The Focusrite Plug-In Collective is a fantastic initiative for those who want to remain up to date with various plug-ins, offers, updates, and additional content. All you have to do is register your Focusrite Audio Interface, then log in to your Focusrite account each month to access awesome deals and content! Not Already a Focusrite Owner?